This roomy 1798 SF single story gem is searching for a new family to love. Split floor plan, eat in kitchen, separate dining room, living room, office and large laundry room. Spacious master bedroom with large en-suite including jetted tub, separate shower and double vanity. Two additional bedrooms and full bath located on the opposite side of the home. Beautiful entry and dining room have hardwood flooring. Outside you will find a 2 car carport, large rocking chair front porch, and fenced back patio perfect for pets. BONUS!!! Separate 2 car garage with roll up doors and full electrical makes a perfect spot to support vehicles, hobbies or extra storage. 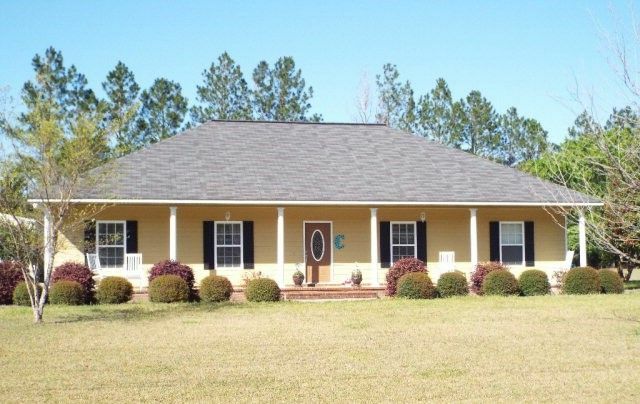 Don't let this one slip away, call Mary Whitson today at 912-326-1575. Directions: Travel Adams Street/Hwy 130 W from Hwy 280 approximately 2.5 miles and turn right onto Sandspur Lane. House is on the right. Look for sign.